You've been contemplating moving to WordPress, but you don't know whether to go for it or stay on Blogger? I've been in the same boat as you. I used Blogger in the past 6 months, and even though I've been thinking about moving for a while, I was terrified. However, I finally plucked up the courage and went through with it last weekend. Since many people have been asking me about my first impressions with WordPress and the reason why I left Blogger, I decided to write a post about it in which I explain some of my concerns in connection with Blogger and discuss whether it's worth leaving your old blogging platform or not. The main reason why I left Blogger was that in the past couple of weeks I've had constant issues with comments not showing up, blog titles not showing up, and several other things making blogging less enjoyable than it was before. Mind you, apart from the time when Google decided to delete my blog for no apparent reason, I'd been quite happy with Blogger. Up until now. I've only been on WordPress for about 72 hours, but I'm in love with it already. For me the most striking difference between the two platforms is how professional WordPress looks compared to Blogger. And in WP's case, professional doesn't equal complicated. I thought I'd be confused with its system and need weeks to figure out how it works, but here I am, typing away with a huge smile on my face. Anyway, here's why I think you should go ahead with moving to WordPress. Mind you, I'm talking about self-hosted WordPress blogs, not the free WordPress ones. For more information about the differences between these two, check out this article. One of the most important differences between Blogger and WordPress is the amount of control you have over your blog. Blogger is owned by Google, and Google has the right to delete your account without a warning. I'm not making this up and yes, it does happen – it even happened to me once. I don't think I've been that terrified in my life. And apparently, Google may remove your blog even if you use a custom domain name (e.g. myblog.com instead of myblog.blogspot.com), so a self-hosted WordPress site is definitely better in this respect. With WordPress, you're in control. Another reason why I switched to WP is SEO, which stands for Search Engine Optimization. It basically includes processes behind improving a site’s visibility in search engine results pages, such as Google. What exactly is “Search Engine Optimization,” and why should you care? More info here. What made me think in the first place was this article – apparently, if your blog's HTML coding is bad, your site will be down ranked. Well, I happened to check my blog with W3C validator while I was still on Blogger and there were almost 600 errors in my blog's html. I mean, 600?!?! Holy shrimp. The great thing about WP and its blog templates is that they are more SEO friendly. Now that my blog is all set up and my template looks almost identical to the one I had on Blogger, I went back to W3C and checked my blog's html again – guess how many errors it had? 7. Instead of 600. Sounds a tiny bit better, right? In addition to this, WordPress has a great number of SEO plugins you can install and work with, and they're super easy to use. WOW. One of the things I love most about WP is the awesome plugins. WP plugims make your life super easy – there are thousands of them, and you can access each of them right from your Dashboard, including a built-in Google Analytics or Statcounter app. How cool is that? I just love WP's post editor. It's quite similar to Blogger, so it doesn't take too much time to get used to it, but it's much better and easier to use. I've constantly had issues with Blogger's editor and photo uploader, so it's such a huge relief to finally be able to use this one. Plus, I know many people who originally write their blog posts in Microsoft Word before they post it on their blogs, but I noticed that it tends to mess up their blog's template. I'm not kidding, I've seen it happen many times. But do you know what? WP has a button which lets you paste a text from MS Word – AND it doesn't mess up your theme. Cool, huh? You don't have to worry about it being complicated even if you're not a HTML expert – the post editor looks almost identical to the one we have in MS word so you don't even have to go near the HTML editor button if you don't want to. I know some people are obsessed with privacy and captcha (which I still hate, by the way), but they don't realize that it's actually the number one reason why people can't or simply won't comment on their blog posts. WordPress is definitely much better with filtering out spam. An interesting thing about WP's comment system is that, in addition to being able to moderate your comments before publishing, you can edit your comments too, which you can't do on Blogger unless the commenter deletes his/her comment and re-submits it. Plus, WP also lets you password-protect your posts – either all of them, or just the ones you'd prefer not to make visible to the public. I'm sure there's much more but these are the things I can tell you right away, 3 days after switching blogging platforms. 🙂 All I can say is that I'm pretty sure it's going to be worth it. I love the fact that WP makes everything so easy and that's a huge plus when you don't have much time beside work and reading. If you've been considering this move for a while just like myself, I would definitely say go for it. You'll be surprised how professional looking and clean your blog is going to be, and its simplicity will definitely save you a lot of time. Vicky is a member of the Novel Publicity Team as a Blog Tour Assistant. Vicky is currently studying British literature and culture at the University of Debrecen and hopes to fulfil her lifelong dream of moving to the United Kingdom as soon as she graduates. She hopes she’ll be able to work in publishing someday, but she’s looking forward to seeing what the future holds for her. When she’s not working or studying, Vicky runs a book blog at Books, Biscuits, and Tea. You can follow her on Twitter, Facebook, Goodreads or her website. I’m in the process of moving my website onto WordPress so I can integrate my blog into it. I previously had the blog on Blogger and I’d put my website together on Dreamweaver. Using a WP theme is a lot easier than using DW although to get it how I want, I’ve had to tweak it a lot. I reckon another couple of weeks and I’ll be able to put up the new look website. 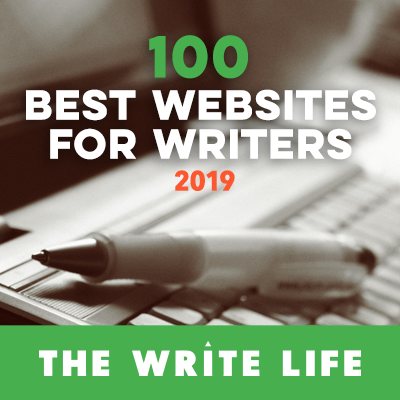 When I was starting out blogging just a couple of months ago, I read several similar articles and ended up going straight to WP (although I’m still on the free WordPress.com for now). It definitely seems to be the superior alternative. I’ve read some complaints that it was too complex. While there are so many options and so many different themes and plugins, you don’t need to worry about any of those when you start. They seem to miss the fact that you can just start it up and start blogging, then customize it gradually as you go. Very compelling reasons to switch! Is there a fee on WordPress for a blog? I hate captcha too! Won’t use it on my blog. I so want to move for all of these, but finding a simple way for non-techies is nigh on impossible. Any help? Your blog is very nice, Vicky. I’ve just taken the plunge and moved my blog onto the self-hosted wordpress platform. I was using the free wordpress.com platform, so the learning curve hasn’t been as steep. Great post! I also love all of these things about WP. I recently started my own blog on WordPress, and it’s super easy to use, even for a newbie like me. I know very little HTML, but the post editors are a snap to use, and even choosing and modifying a template isn’t that complicated. Of course, I can’t compare it to Blogspot because I’ve never had that. But I am very happy with WordPress and would recommend it to anyone who wishes to blog. Bravo! Good on you for making the switch. I try to encourage all of my authors/clients to move to WordPress too, for the same reasons, so I’ll be using your article as an extra reference point. I wanted to build a website, not just a blog, and I started out using a free wordpress template on my own hosting platform. I spent 3 days trying to figure out how to get the site to look like I envisioned it, and tried countless plug-ins that did not work. In the end, I gave up and set my site up on Moonfruit. I have the look I want on all the pages, except perhaps the blog page. So I might start a separate blog on wordpress at some point and link the two. I recommend Moonfruit’s look, ease of use and interface, but it is in the long run probably less-customisable than wordpress. I have used blogger for four years and recently have pulled my hair out with the issues. I am nervous about moving and losing my followers, but am seriously considering WP. Thanks for your informative article.